Saflec Systems is offering you the opportunity to trade-in your old card printer for a new one with a substantial discount. This is your chance to boost productivity, cut down on printing costs and reduce your impact on the environment. Need a new printer? Save with these specials. If you’re in the market for a new card printer, look no further. We’ve slashed prices on Datacard’s SD260 Simplex and SD360 Duplex models. 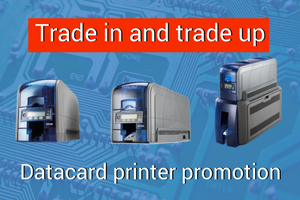 Datacard is known for their compact and cost-efficient range of card printers. These promotions run from 8 November – 8 December 2017 or while stocks last. Don’t hesitate to contact Saflec Systems to take advantage of these incredible offers.